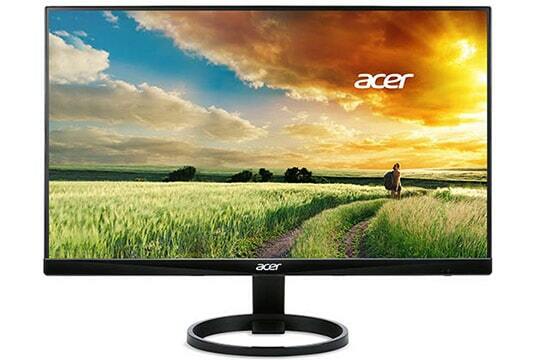 The Acer R240HY is a high-quality low-budget monitor that delivers flawless image quality with rich and vivid colors. It is also known by its longer product name, the Acer R240HY bidx. 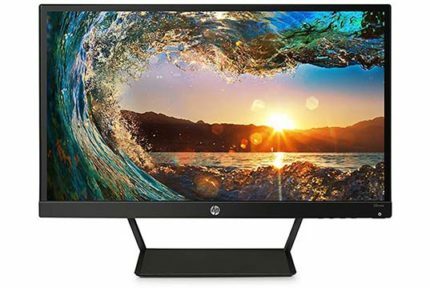 The monitor’s frame is very thin and barely noticeable making it an ideal option for a multi-display setup for gaming or office work. The Acer R240HY offers a stunning picture quality considering its price thanks to its rich colors and Full HD resolution. The IPS panel will leave a powerful impression on you, especially if you’re coming from a TN monitor. The accuracy and consistency of colors will significantly enhance your viewing experience; even the common everyday computer use will become more pleasant. Furthermore, if you are an entry-level aspiring photographer or designer, the Acer R240HY IPS monitor is an excellent choice for you at this price range. IPS panels also guarantee wide 178-degree viewing angles which allow you to watch the screen from any distance or angle without the image shifting in color and contrast. The rapid response time speed of 4ms will make sure there’s no prominent motion blur or ghosting of fast-moving objects in games or movies. The TN panels, however, still have a faster response time of 1ms which entirely eliminates ghosting in fast-paced games, but at the cost of color accuracy and viewing angles. 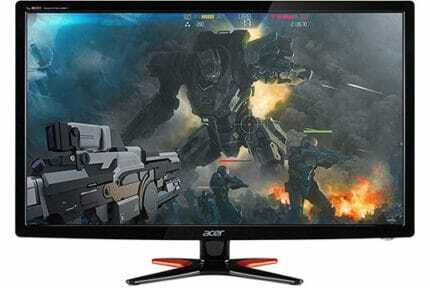 So, unless you’re a competitive gamer, we recommend the Acer R240HY 23.8-inch IPS monitor. You can also overclock the monitor to 71Hz-75Hz for extra fluidity in games. In addition, the Acer R240HY input lag amounts to only 9.5 milliseconds which is rather impressive. IPS glow is an expected downside of IPS panels causing excessive light to pass through the panel and glow, usually near the edges and corners of the screen. We’ve only detected a minor amount of IPS glow, though it’s only visible in especially dark scenes and when there’s no light in the room. There are a few presets available which are well-optimized for certain activities on the screen. These presets include User, ECO, Standard, Graphics and a Movie mode. Remember to select these presets accordingly as they can improve the quality of what you’re watching. The Acer R240HY is very power efficient and consumes only 19W of power, in the ECO preset the power consumption is reduced to 12W. Moreover, the monitor has a flicker-free screen and a low blue light filter so you can work, play, or watch movies for hours without straining your eyes. The OSD menu of the Acer R240HY monitor is not quite user-friendly as it is troublesome to navigate with and lacks the ability to adjust certain settings. Besides the brightness, contrast, and the level of blue light protection, there are no other options to tweak such as gamma and colors. The Acer R240HY screen is covered with a non-reflective matte coating which eliminates light reflections. Connectivity is diverse and includes a VGA, a DVI, a headphones jack, and an HDMI port. Unfortunately, the monitor doesn’t support VESA mount, so if you wish to mount the screen on a separate stand, you will need to buy an adapter which you can find on Amazon as well. The bezels are strikingly thin which is without a doubt one of the monitor’s main selling points. You can also tilt the screen by 20 degrees. 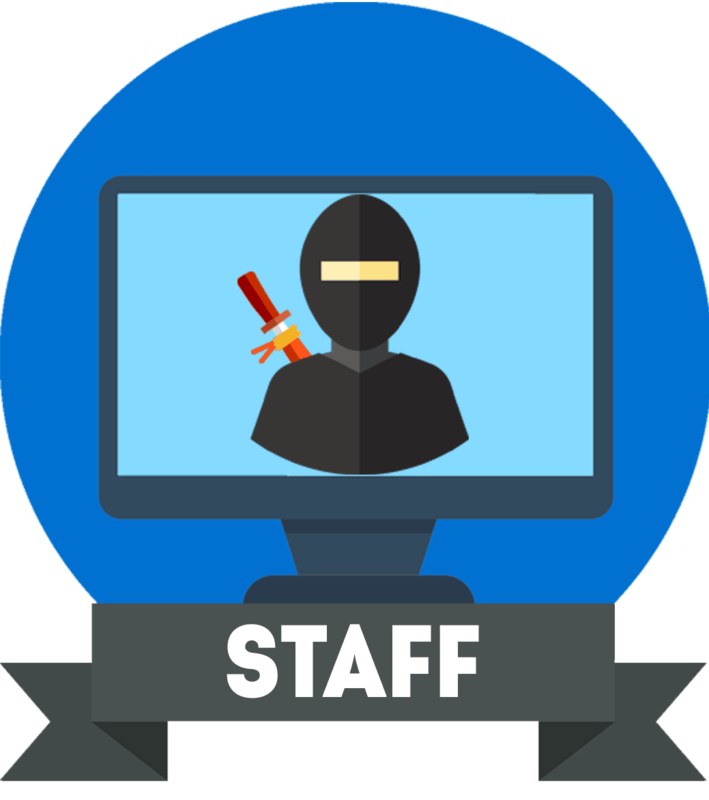 Along with the thin bezels, the monitor has a magnetic stand to which you can attach paperclips and similar handy metallic items. 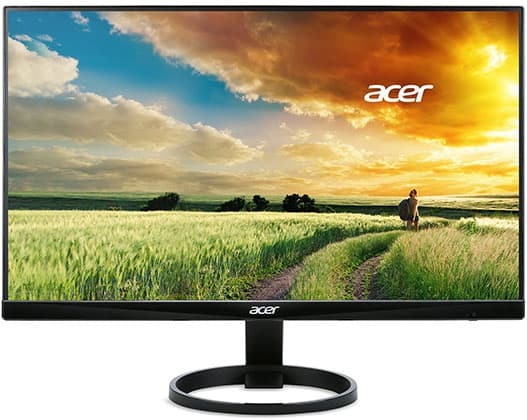 The Acer R240HY has a price tag of $129.99 MSRP and it’s one of the top-rated 24″ 1080p IPS monitors because of such an appealing price. If you want a similar monitor, check out the LG 24MP59G which is also a 24″ 1080p IPS monitor but offers some extra gaming features including AMD FreeSync. In case you want a cheaper display, the Acer SB220Q 22″ 1080p IPS FreeSync monitor is available at just under $100. Whether you are looking for the best bang for the buck 1080p monitor for a multi-display setup or just an ordinary screen for the everyday activities, there is no doubt that the Acer R240HY will satisfy your needs for the price you pay. However, if you are after a monitor mainly for gaming, there are some better alternatives available at this price range, such as the LG 24MP59G. 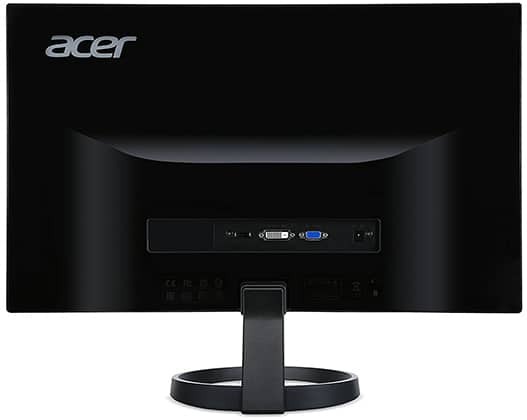 The Acer R240HY is a gorgeous thin-bezel monitor with 1080p resolution, great image quality, and outstanding performance - all that at a reasonable price makes it one of the best selling monitors on Amazon.